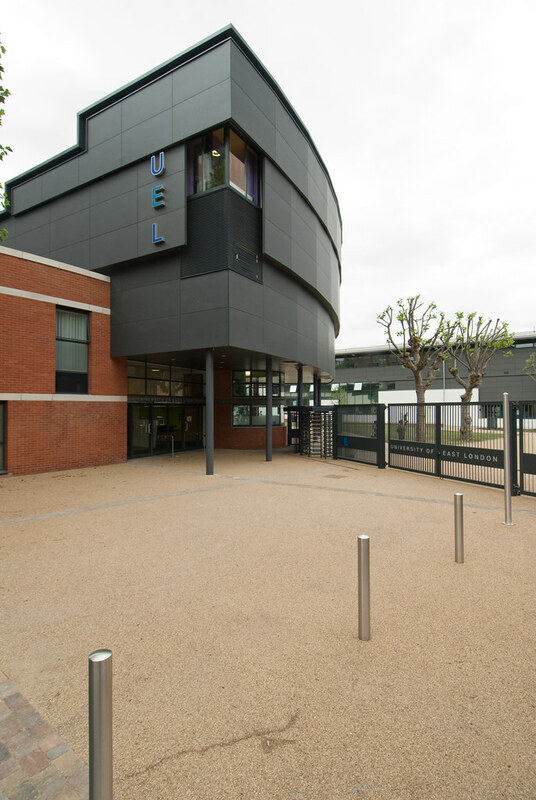 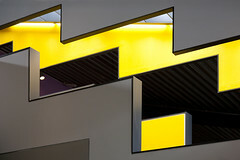 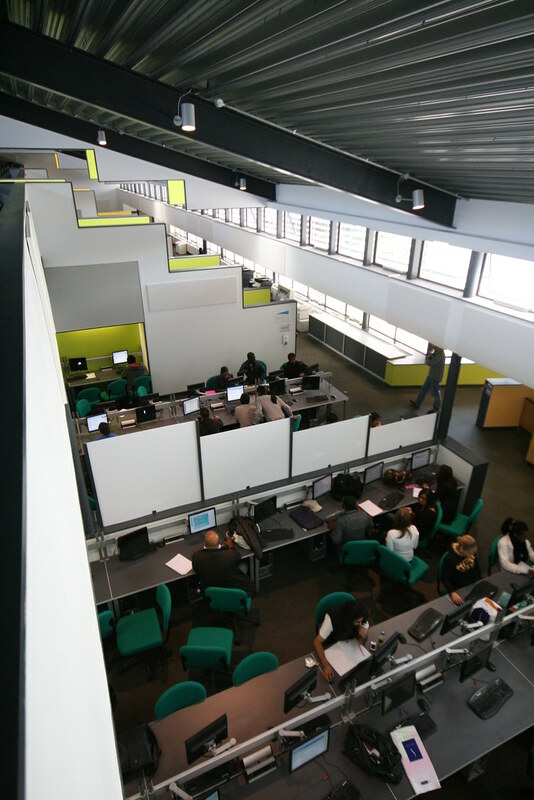 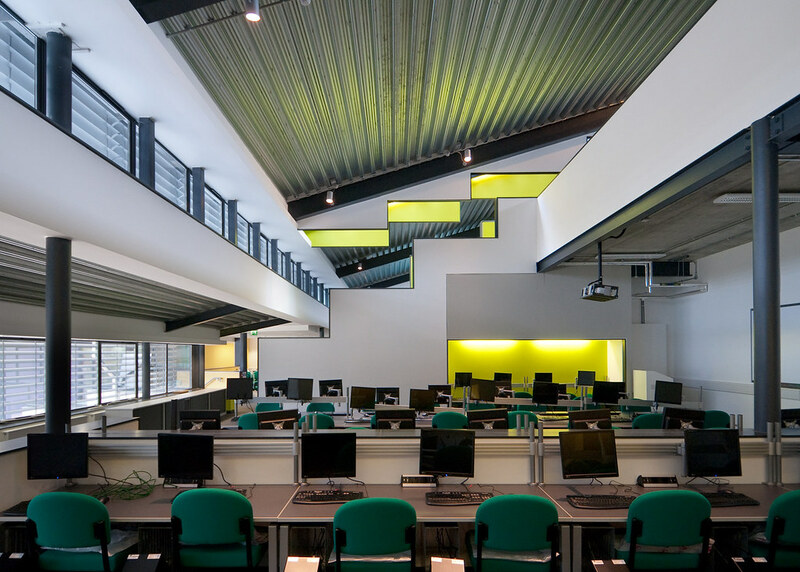 Our third commission from the University of East London, this building accommodates 400 computers organised in approximately groups of 30 for both teaching and open access, a 400 seat lecture theatre, seminar rooms and a University entrance foyer. 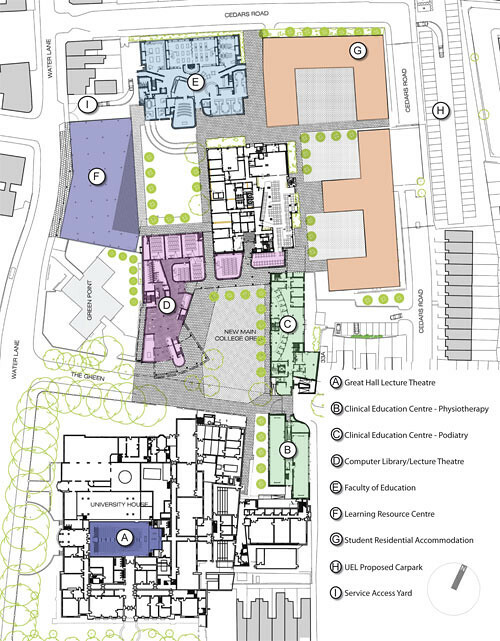 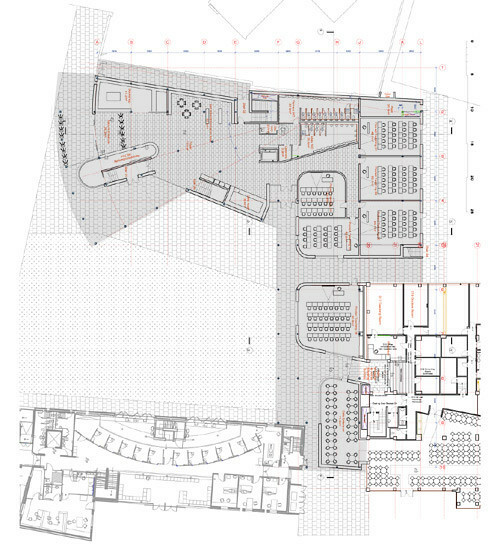 The 'L' shape plan forms two sides of the proposed central college green at the heart of the reorganised campus in Stratford (the other two sides formed by the rear of the existing University house and our recently completed Department of Podiatry and Physiotherapy). 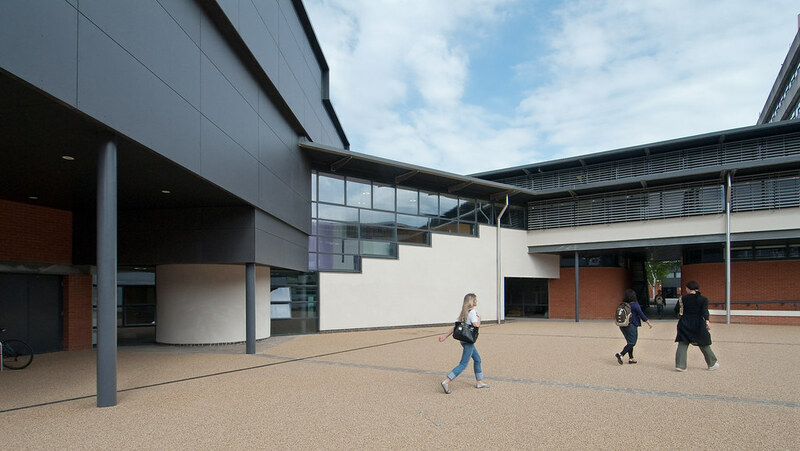 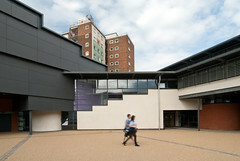 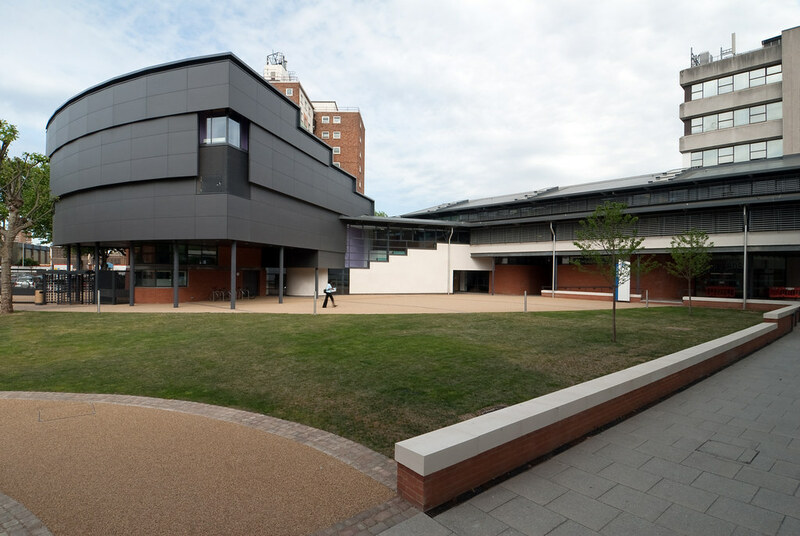 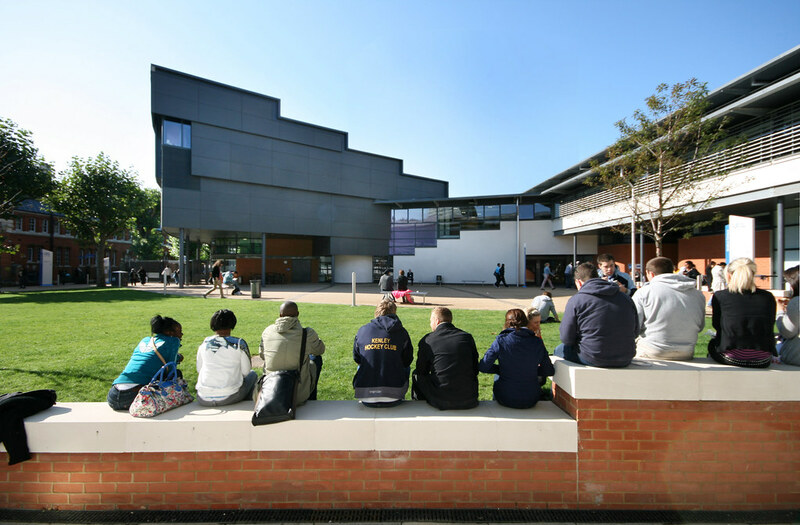 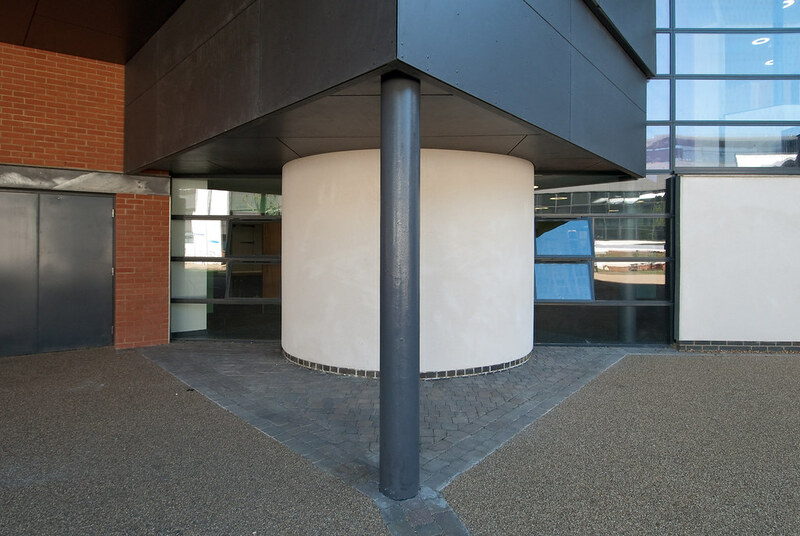 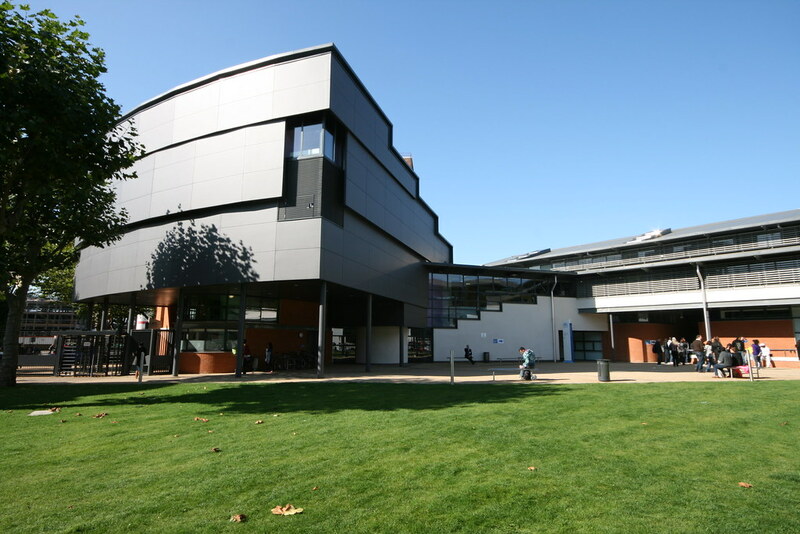 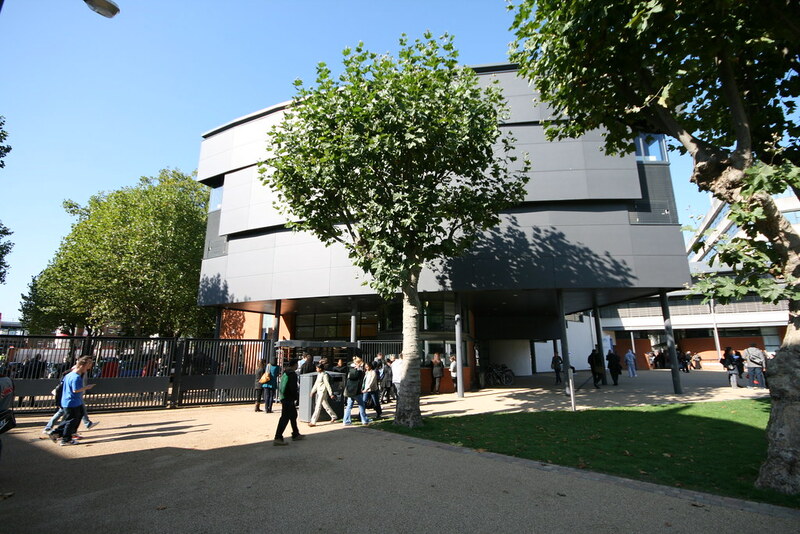 The building also acts as a block to the currently dominant Arthur Edwards building and forms a gateway to a second University quadrangle. 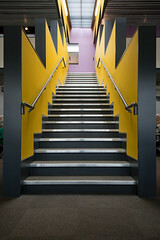 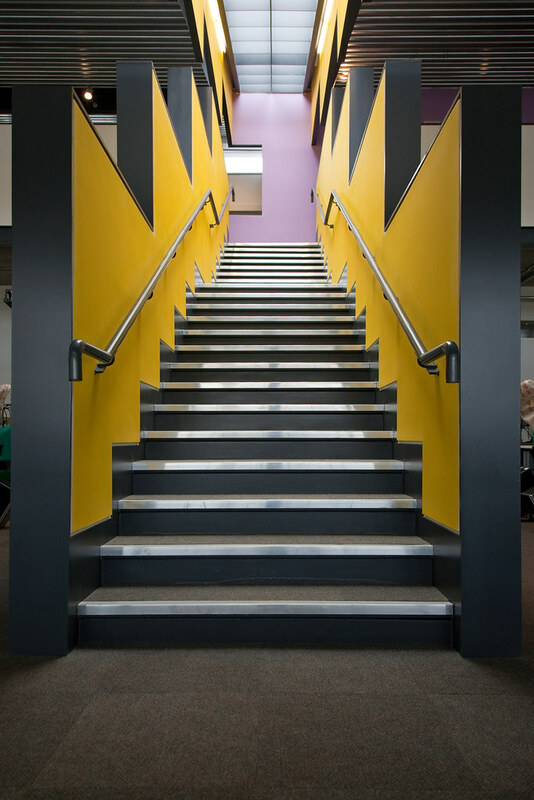 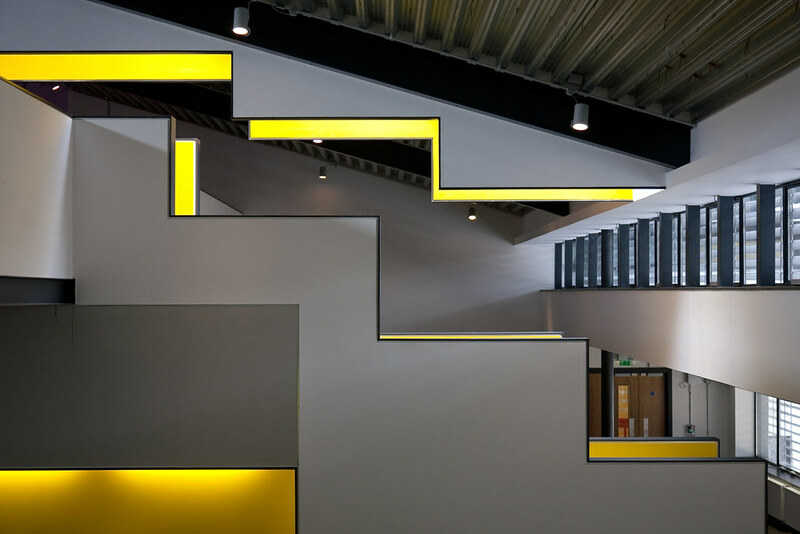 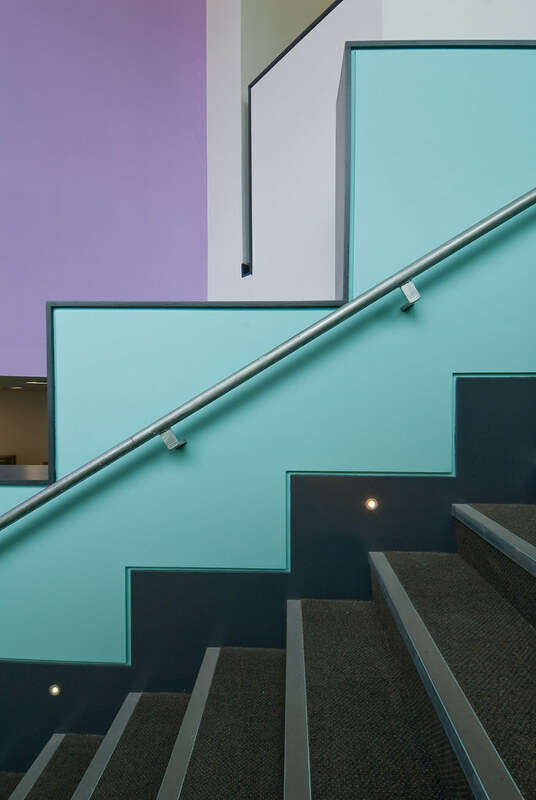 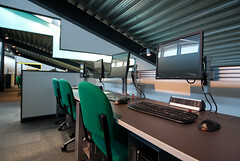 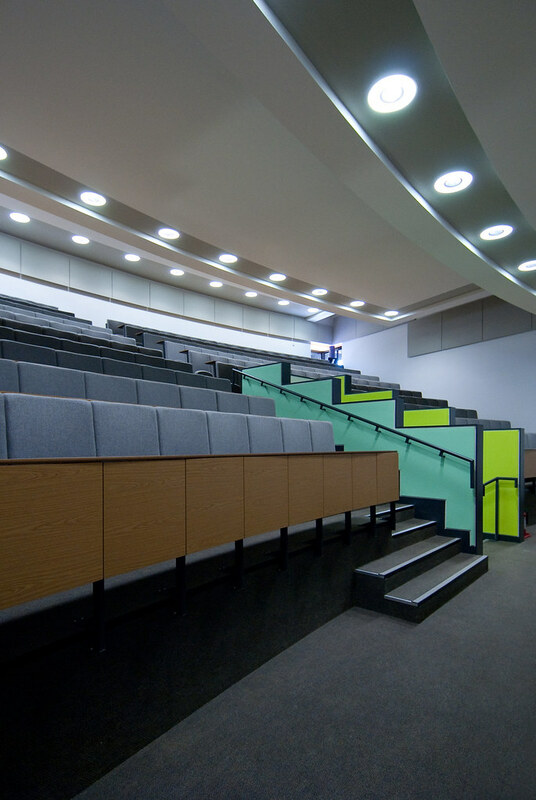 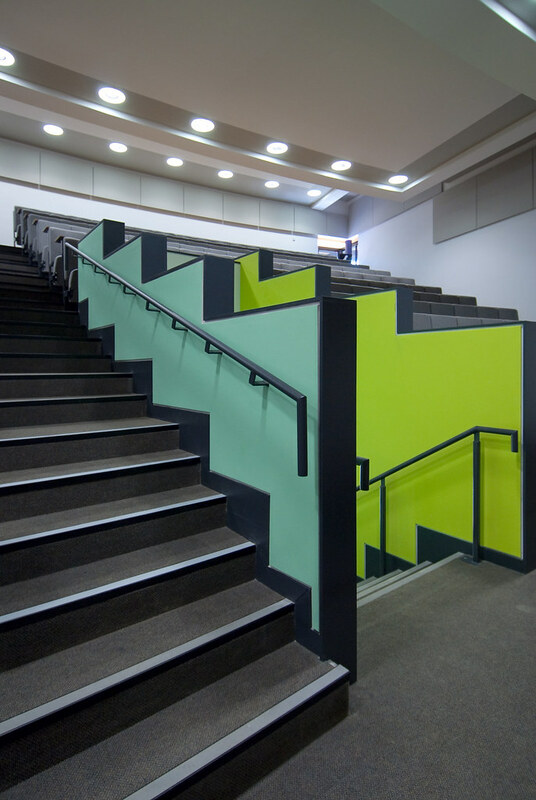 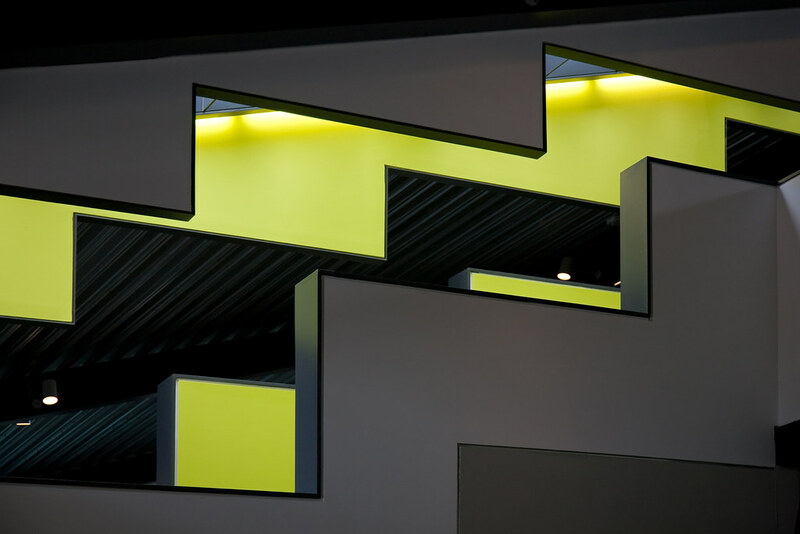 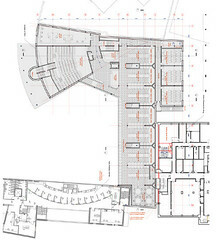 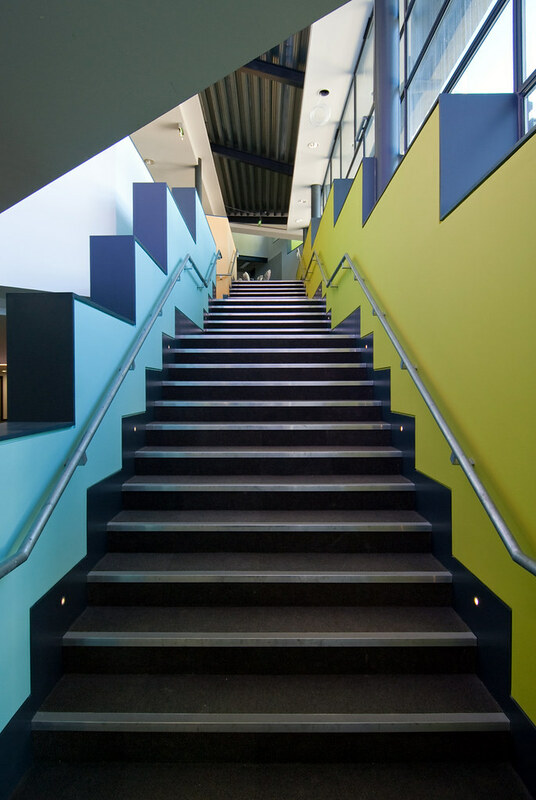 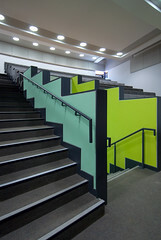 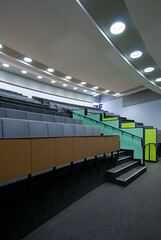 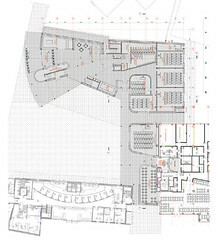 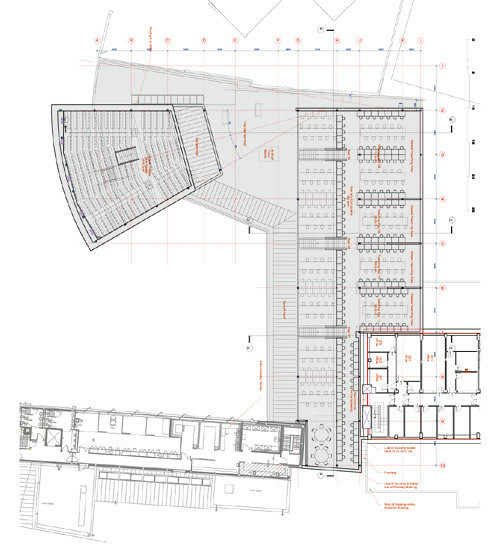 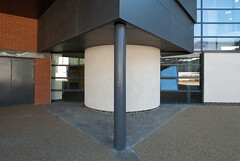 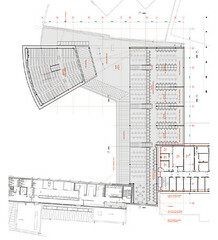 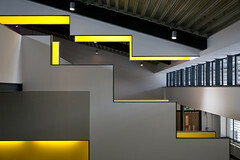 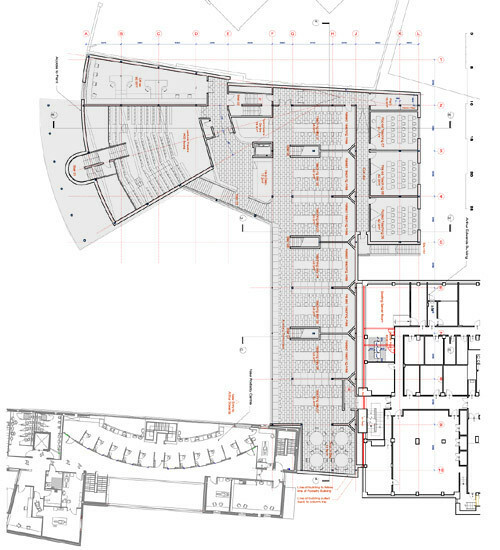 Internally, the foyer doubles as a gathering space for the 400 seat lecture theatre immediately above and is also freely connected to the computer facility. 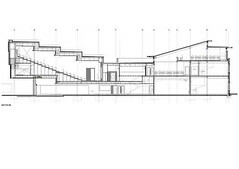 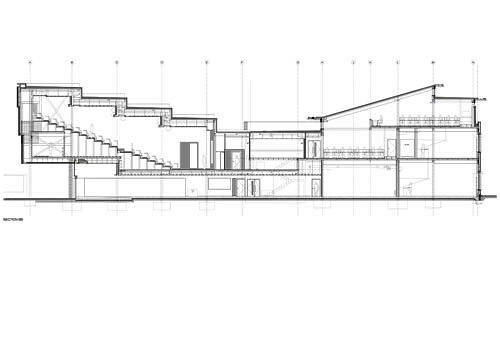 This is organised as a two storey galleried space and allows students to look out onto the college green. 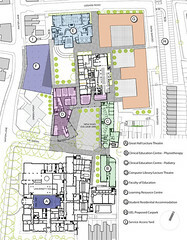 It is hoped with the eventual construction of a new University learning resource centre that the Computer and Conference Centre will also be linked to this facility. The project was completed on site in April 2009.